08.50 Before the beginning of Sound check participants must get accreditation. 09.10-09.25 Sound check (05.min) All age categories in nomination Folk song. 12.00 Announcement of competition result (ratings). Participants are invited to the stage to receive an open jury evaluation. All participants of the nomination Folk song must be at the stage. 12.10 Round Table. An opportunity to speak with the members of the Jury about the performance. 11:30 Before the beginning of Sound check participants must get accreditation. 13.45 Announcement of competition result (ratings). Participants are invited to the stage to receive an open jury evaluation. All participants of the nomination Jazz song must be at the stage. 14.00 Round Table an opportunity to speak with the members of the Jury about the performance. 13.15 Before the beginning of Sound check participants must get accreditation. 16.15 – Announcement of competition result (ratings). Participants are invited to the stage to receive an open jury evaluation. All participants of the nomination Latvian composer song must be at the stage. 16.30 – Round Table. An opportunity to speak with the members of the Jury about the performance. 15.45 Before the beginning of Sound check participants must get accreditation. 18:40 Announcement of competition result (ratings). Participants are invited to the stage to receive an open jury evaluation. Participants of the nomination Original song of age categories up7; 8-11-must be at the stage. 20.10 Announcement of competition result (ratings). ). Participants are invited to the stage to receive an open jury evaluation. Participants of the nomination Original song of age categories 12-14; 15-17; 18-25 must be at the stage. 20.20 Round Table. An opportunity to speak with the members of the Jury about the performance. 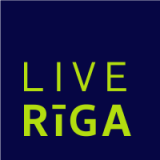 All contests will be broadcast online: www.rigasymphony.lv, on the Facebook page – Riga Symphony in 240 countries. Tell Your Friends! They will be able to see your success! 08.30- Bus from Radisson Blu Daugava (Kuģu24) to Competition Hall (Skolas street 6)- nomination Academic vocal. 08.50-Before the beginning of Sound check participants must get accreditation. 09.10-09.25 Sound check – 05.min -All age categories IN NOMINATION Academic vocal. 10.45 Announcement of competition result (ratings).All participants of the nomination Academic Vocal must be at the stage. Participants are invited to the scene to receive an open jury evaluation. 11.00 Round Table. An opportunity to speak with the members of the Jury about the performance. 09.45– Bus from Radisson Blu Daugava (Kuģu24) to Competition Hall (Skolas street 6)- nomination World Hit up 7; 8-11 ages categories. 10.15 Before the beginning of Sound check participants must get accreditation. 12.15 Announcement of competition result (ratings). Participants are invited to the stage to receive an open jury evaluation. Participants of the nomination World Hit up 7 years must be at the stage. 14.30 Announcement of competition result (ratings). Participants are invited to the scene to receive an open jury evaluation. Participants of the nomination World Hit 8-11 years must be at the stage. 14.45 Round Table. An opportunity to speak with the members of the Jury about the performance. 13.30- Bus from Rdisson Blu Daugava (Kuģu24) to Competition Hall (Skolas street 6)- nomination World Hit 12-14;15-17;18-25 ages categories. 14.00 Before the beginning of Sound check participants must get accreditation. 17.30 Announcement of competition result (ratings). Participants are invited to the stage to receive an open jury evaluation. Participants of the nomination World Hit 12-14 ages category must be at the stage. 19.00 Announcement of competition result (ratings). Participants are invited to the stage to receive an open jury Participants of the nomination World Hit 15-17; 18-25 ages categories must be at the stage evaluate on. 19.10 Round Table. An opportunity to speak with the members of the Jury about the performance. All contests will be broadcast online: www.rigasymphony.lv, on the Facebook page – Riga Symphony in 380 countries. Tell Your Friends ! They will be able to see your success! 20.00 – 20.45 free time. You can taste traditional Latvian cuisine and enjoy the atmosphere of Christmas. 20.45 -21.30 Latvian traditional songs and dance with folk ensemble “Rija” A/C “Lido” (Krasta iela 76). 11.00 Congratulations to the members of the vocal teachers and members of the jury! The list of participants- challengers of Grand Prix in the Gala concert will be announced after the awards ceremony. Do not forget to take national costume and national flags, white dress and traditional food! Participants arrive in folk costumes or festive costumes – at the beginning of the concert they are preparing for a red carpet (with a flag of their own country). All clothes can leave at wardrobe. 17:00 PUMPURINI & FRIENDS: Riga Symphony 2018 – Concert of Charity Gala. Celebration Jelena’s Shvilpe’s original songs Concert dedicated to the 100th Latvia and the 25th Anniversary of the Performing Arts School “Pumpurini”. 20.00 Traditional White Ball. Dress code: white, light blue and silver color. The festive concert will end with the traditional White Ball, the participants in the parade white dresses with the sounds of Polonaise. Delegations in advance is served traditional food of their countries ! Cake “Pumpurini 25 “from parents and students ArtSchool Pumpurini. Delegations will be invited to taste traditional delicacies from their countries by placing tables with traditional delicacies. 2) Briefly tell us about your creative work. Here you will have the opportunity to exchange souvenirs and information about yourself. Music producers are inviting their projects. Master classes run by local and foreign music. Festival participants and students from Riga can participate free of charge. 14.00-15.00 Excursion of participants of the Riga Symphony in the Old town (need to apply). 19.00 Charity Christmas Concert – St. Peter’s Church acoustic charity concert. Participants perform traditional Christmas songs a’cappela or live piano accompaniment. The Bulgarian delegations will host the Prince and Princess of Riga Symphony 2018. If You want to participate in this contest you have to report it by letter to the organizing Committee till 15.11. Please note that the fee for the contest Prince and Princess of Riga Symphony is 20€ (for the crown and sash). 10.00 Transfer the numbers! If necessary, things can be left at the time of admission. The mayor of Riga nil Ushakov and other representatives of the Riga city Council welcomes the participants in Riga, wishing success and achievements. Guests and festival participants dressed in national costumes and with flags of their country, thank you for the warm welcome in Riga. THE PROGRAM CAN BE CHANGES AND ADDITIONS! Skolas iela 34-16, Rīga, LV-1011, Latvija.